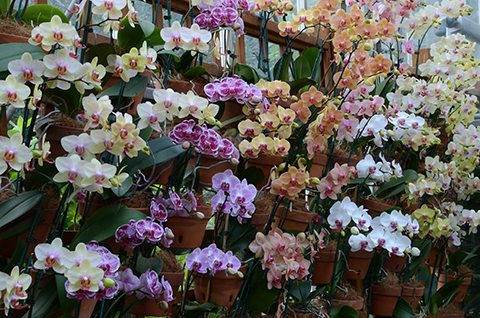 The Phalaenopsis Blast, summer edition. 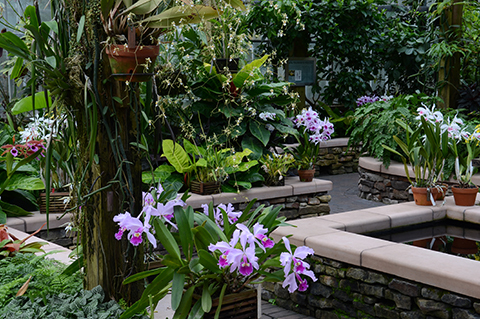 Under the cedar pergola are a variety of Cattleya and Laelia species. The Orchid Display House is great place to rest on a hot afternoon.